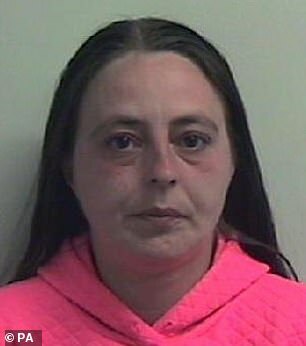 The parents of a malnourished toddler who died after she was left starving for months and riddled with thousands of head lice, have been jailed. Lauren Wade, who was just two years and five months old, died in hospital from complications arising from malnutrition in March 2015. 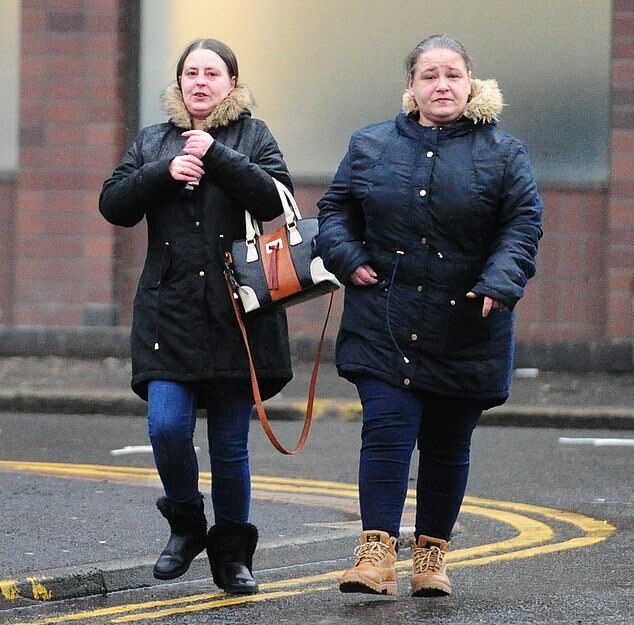 Margaret Wade, 38, and Marie Sweeney, 37, left the toddler to starve to death at their filthy flat in Glasgow’s Sighthill. Medical staff found she was emaciated and infested with head lice when she was brought in after being found unresponsive at her home. She was pronounced dead around 30 minutes after she was taken to hospital. The ‘skinny and dirty’ toddler had a sodden nappy, bald patches and thousands of head lice. There was evidence that lice had been there for ‘over 17 months’ of her life. Paramedics later noticed that the cover she had been lying on was covered in lice and fleas and had to clean and decontaminate the ambulance, the court heard. A police officer who visited the flat where the family lived described it as ‘one of the most disgusting houses he had ever seen in his career’. The court heard it was littered with rubbish, leftover food, dirty plates and clothes and infected with hundreds of insects and flies. 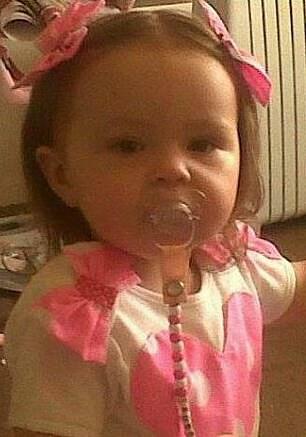 Wade, who was Lauren’s biological mother, told police she had ‘no guilt’ over her daughter’s death. Wade and Sweeney admitted wilfully ill-treating and neglecting the child last month, and also pleaded guilty to similar charges in respect of two older children. They were each jailed for six years and four months at the High Court in Glasgow today. Wade and Sweeney, who had been in a relationship for 15 years, both regarded themselves as mothers to Lauren. On March 20, 2015, a 999 call was made after Lauren was found ‘unresponsive’. Wade told nurses Lauren had been suffering from a virus for a couple of days but a post-mortem revealed the toddler was too small for her age and had been the victim of ‘severe neglect’. In court it emerged the women had been told to clean up their living conditions as long ago as 2007. Sweeney and Wade declined her offers to help with the children’s’ head lice infestation. The children had tooth decay and head lice and the older girls were not given adequate clothing, the court heard. Prosecutor Bill McVicar said: ‘The kitchen was so full of bags of rubbish that there was barely enough space to open the door. One bedroom was so cluttered that the carpet was ‘almost invisible’. Mr McVicar added: ‘It is clear the failure to provide proper accommodation was a long-standing issue which did not simply emerge in the days or weeks before the death of Lauren. Wade’s QC Brian McConnachie today claimed her mental health issues were ‘partially responsible’ for the crimes. Sweeney’s QC Ian Duguid said she had not been ‘trying to hide’ what was a ‘very sick or malnourished child’. 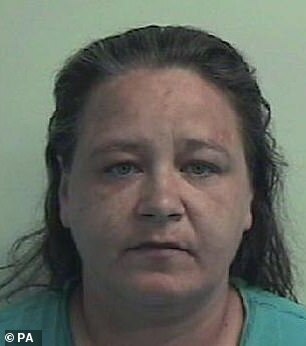 Lady Stacey imposed three year jail terms for the neglect of the other children, but these will run concurrently to the sentence involving Lauren. The judge said the jail term would have been seven years, had the pair not entered guilty pleas. The pair showed no emotion as they were lead to the cells.